Around 150 professionals from the plastics industry took part in the Plastics Knowledge Day 2019 organized by GOM GmbH on January 29 in Braunschweig, Germany. The event was the start of a global event series that will take place in more than 30 countries throughout 2019. The program of the Knowledge Day series includes real-word application scenarios from the industry showing the use of optical 3D metrology and GOM’s solution approaches. The interactive transfer of knowledge offers beginners and experts the opportunity to learn about current and future trends in the plastics industry. Some of the topics covered include tool-making, production optimization, inspection of components and analysis of material parameters. 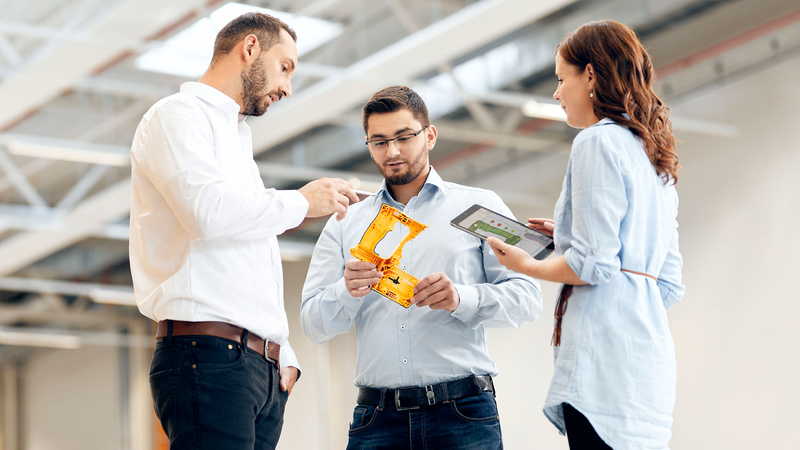 On March 28, the Plastics Knowledge Day 2019 takes place in Leipheim near Ulm, Germany. In addition to a basic introduction to optical 3D metrology, the program includes application scenarios from day-to-day practice as well as development issues of 3D metrology for industry-specific challenges. These include virtual clamping of components in the GOM software, which in the future are supposed to make the use of expensive and complex clamping devices dispensable to a great extent. Moreover, referents from the industry report on their application experience with the new GOM CT – an industrial computer tomograph designed for inspecting the structures of complex components from the inside. Event proceedings can be ordered free of charge online.